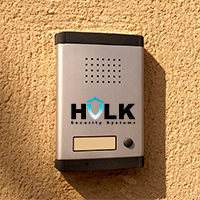 While we offer you the best security systems, Hulk Security Systems places a strong value on privacy. One of the reasons for security is to protect privacy. We stand behind all of our principles while installing security systems for New York all around the city. All information that you provide is kept private. We won't be selling it to any advertising agencies or marketing groups like many companies might do for the extra dollar. Your contact information is regarded as something to be protected and respected and that is precisely what we do. We realize that every time you have to provide personal information that there is a concern for the security of your identity and finances. Please do not be concerned. We will provide your home or business with excellent security systems while the information about you, where you live and what type of security products you have installed is kept safely in our highly secured servers. No third parties will be allowed access to your information. After all, we are experts on access control. You can have premium security systems in New York with the services of Hulk Security Systems and there is no chance that private and trusted information will be leaked out to anyone. Our business is your business and that is the deal. We work for you, never against you.